One of my favorite ways to share more about myself with y’all is through Q&A style posts. I usually take to Instagram and have you ask me questions there which tends to lead to a wide array of things y’all want to know. I know that some of you prefer these in video form, but I haven’t felt particularly inclined to film as of late so hopefully reading through these instead of listening to them is equally as insightful. When you buy new clothes do you re-wear them often or do you do more of a one and done? I re-wear things non-stop. My budget does not allow a one and done mentality, and since I gravitate toward more classic pieces, I find that I am constantly wearing things over and over. If you have followed along for a while, then you have definitely seen me repeat pieces and entire outfits when I share what I’ve been wearing in Step Into My Week posts (I’m about to get back into sharing those outfit ideas since a new season is here). There are a few sweaters that I feel like I should retire after how many times I’ve worn them (and my friends have worn them) this season. When it’s a piece like that that I know I’m going to use a ton, then I don’t feel bad investing in it a little bit more so that it does last. Depends on the place! Chick-fil-A is my favorite fast food location so let’s start with that. If it’s lunch or dinner at Chick-fil-A, usually I’ll order a 12 count nugget (just the nuggets) with Polynesian sauce. If I get a drink, it’s their lemonade. My friends think I am crazy, but I’m not a big potato person. Personally, I prefer my French fries to be as fried as possible, so mushy waffle fries don’t do it for me. If I am eating breakfast at Chick-fil-A, then I am getting a four-count chicken mini meal with a vanilla iced coffee. As for other fast food places I like to get a brown rice bowl at Chipotle (I’m counting it as fast food), the three pack Zax snack at Zaxbys, and the chicken roll-ups with hummus at Zoe’s. I can’t really think of any other fast food places that I eat at so hopefully that covers it. Right now I would love nothing more than laid back days on a beautiful beach with a book in my hand (and maybe a fruity cocktail in the other). I don’t have any specific destination for a trip of that nature in mind but could definitely pack quickly if someone wants to invite me to do something like this. I would love to go back to Paris and London at some point and think Greece and Italy are other places that I’d really enjoy exploring but I don’t have any plans for any of these trips in the foreseeable future. Maybe. I’m not going to say no just because I don’t know what my feelings will be in the future, but for the time being, I am so happy that I decided to pursue passions outside of the classroom. I love my new job (at this point it’s not all that new though) and have been so much happier in this position than I was with teaching. I was telling a friend recently that I don’t think I’ve ever been healthier both mentally and physically than I am currently. I do think it would be cool to use my degree by tutoring or finding some way to work with kids in a non-school setting, but I’m not looking to add anything else to my plate currently. My work-life balance is pretty great right now (I never take work home with me which is unheard of in the field of education) so I’m going to stick to enjoying that. Do you have any more running goals after your half marathon? Great question! I kind of addressed that in my post all about my half marathon experience but am happy to answer it here too. My main goal would be to keep up the endurance I worked to build while training for the half and continue to enjoy running. I would love to do another half marathon at some point, but with a busy spring and summer on the horizon, I probably wouldn’t do that until the fall. I would love to convince a friend to do it with me, but I know that training can be time-consuming, so we shall see if that works out. What is your typical blog schedule? I’m guessing this means delegating time to work on posts etc. My goal with blogging is to have all of my blog text written and photos taken the weekend before they are set to go live. Since I work long hours Monday-Thursday (so worth it for a half day every Friday), I don’t typically have time (or daylight) to take photos or the energy to write posts when I get home from the work and gym. Sometimes I’ll spend Friday afternoons working on the posts, but most of the time I’ll go to a coffee shop on Saturday or Sunday for a few hours and try to knock some of it out. If I have a big shopping round up (like this swimsuit or dress post) I start searching for those pieces a week or two out so that I can create the graphics and link everything the week of since that takes less mental capacity and can easily be done while watching TV. Emails and social posting are something I struggle with a bit and don’t feel like I have a typical schedule with. Hopefully, I’ll develop one soon. Do you think if you didn’t have your blog it would have been more difficult to change careers? 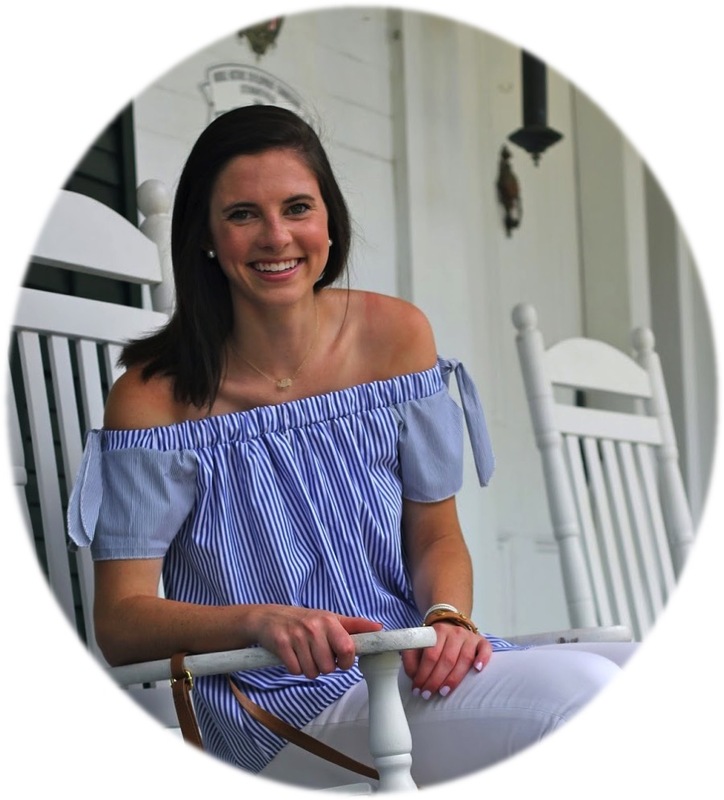 I think in the profession I was interested in it was certainly helpful but more than anything I think that having a blog gave me the confidence I needed to know that I could be successful in something outside of my major. The consistency in which I’ve kept up Prep In Your Step and the following it has (slowly) gained was a reminder that teaching wasn’t the only thing I could be good at. Essie Fiji is a year-round favorite for me! Having a routine makes all the difference for me when it comes to managing my time. If I schedule out when I should be doing things and have a to-do list to follow, I am much more productive. Favorite places to shop for work clothes? Tuckernuck is my favorite store and one that I find a few pieces at each year that I can add to my closet that I know I’ll wear both to work and in everyday life. I think Old Navy is a great affordable option as is H&M although you may have to do some digging there. 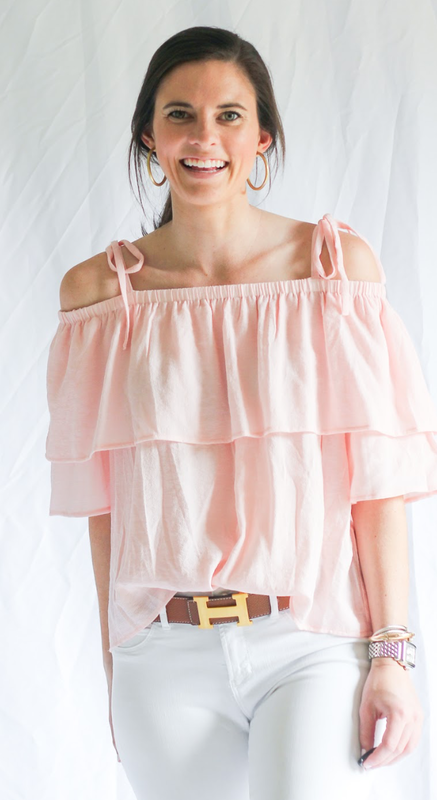 Nordstrom is another go-to when it comes to basic pieces that I’ll wear on repeat that will last, and I love shopping J.Crew for classic items as well. How are you able to consistently wake up so early? At this point, it’s a habit which I know is not helpful. I do have a morning routine that I look forward to (some parts at least, doing my hair and putting on makeup just aren’t fun before 6 am) which helps. Being asleep by 10:30 each night is also really helpful (and probably a bit lame to some of y’all). What are the best spots in Birmingham? I have got to explore more of Birmingham. I tried a bunch of new places in November and December, but with friends in school, I feel like we don’t necessarily explore as much as I’d like. I have included some of my favorites below but know that I still have not been to a number of Birmingham classics so I may not be the best person to ask. Carrigan’s is probably my favorite bar, but the Atomic and Collin’s Bar are also fun. Moe’s is fun but can feel a bit like a college bar at times, so it depends on what you’re feeling. I love downtown Homewood for wandering around. The Pant’s Store is another favorite for me. I feel like I do most of my shopping online so I’m not sure what other boutiques I’d consider my go-to’s. Should I get a master’s or find a better job or both? I really wish I had an answer for this one, but it totally depends on your feed, whether or not you like what you’re doing now, etc. I’m not using my master’s degree at all (sometimes I forget I have one, oops) so if you’re not loving the field you’re in I would probably say pursuing a master’s in that field isn’t going to bring you added joy to your job just because your paycheck is larger. I in no way regret getting my master’s since it was easy to do while teaching and I already had some of the classes taken care of since I got it at the same place as where I did my undergraduate studies, but I don’t feel like my situation is all that normal. Dating? Are you dating anyone? Are you interested in dating? Y’all are very curious about my dating life which is really funny to me. There were so many other more specific dating questions too but let’s stick to the basics. In short, no I am not dating anyone at the moment. I have been on dates since moving to Birmingham, but dating is never something that I’ve felt all that inclined to share about on the blog since it involves another person and I’m generally a very private person. If you read Step Into My Week posts often, I don’t think that it would be too hard to pick out the times where I talked about what I was up to when in reality it was a date, but I’m not going to be one to come out and say it in a blog post. I wouldn’t say I’m not interested in dating (my philosophy is to always say yes to a first date if someone asks and see where it goes from there), but more than anything since moving to Birmingham I’ve prioritized finding a group of friends. Fortunately, I’ve lucked out in that department and look forward to developing those friendships even further! Phew, that’s it for today! Hopefully, you feel like you know me a bit better but if this left you with more questions for me then feel free to DM them my way on Instagram (@prepinyourstep).